“Thinking globally and acting locally” is an old phrase coined in the late 1960’s/early 1970’s, and has been reinvigorated with the recent research and awareness around global warming. We know that the earth is changing due to the carbon emissions of humans, and though we can petition for large corporations to reduce their carbon footprint, adopting a low carbon lifestyle at home is the way to act locally when it comes to reducing the carbon that is emitted into the atmosphere. In this three part series on the future of the low carbon lifestyle for homeowners in California, the home performance experts here at California Energy Services will walk you through the most effective ways in which you can reduce your carbon footprint in your own home — and it all starts with energy efficiency! Here in California, nearly half of the energy produced for residential and commercial use is from crude oil. And though the rise or renewable energy sources (like solar energy)has had a major impact on reducing the harmful emissions from fossil fuels, using less of that energy in your California home will reduce the carbon emissions you and your family are responsible for. What accounts for most of the energy usage in a typical home? When looking at residential electricity usage, energy.gov estimates that heating and cooling account for half of the electricity used in a home. So what does that mean for adopting a low-carbon lifestyle? On the surface, accomplishing energy efficiency with your heating and cooling equipment is often misunderstood as simply upgrading to more efficient equipment. But what many homeowners do not take into account is their actual home performance, and the negative effect it can have on their wallet, their indoor comfort, and their carbon footprint. Each aspect of your home performance relates the others, in a symbiotic system. So changes made to one area will have consequences all the way through the home. Sure, using carbon reducing technology like an upgraded furnace or air conditioner may seem like it will reduce your energy usage — but if you have deteriorated insulation in your attic, or air leaks in your home’s construction, that efficiently conditioned air will be going to waste as it slips through the cracks or spaces through your walls. These two aspects of your home performance are like a perfectly paired tag team, and will greatly improve your home performance right away, and reduce your energy usage. The goal of proper insulation is to reduce the transfer of conditioned air (heated or cooled) between your living space, and the outdoors. This goes both ways, depending on the time of year. In the cooler months, insulation in your walls and attic will keep the heat from your furnace inside your home, and in the warmer months the hot summer air stays outside so your air conditioner isn’t working overtime. Air sealing closes up any existing gaps in your home, that allow for air to freely flow in and out. This works year round as well to keep the temperatures in your home exactly where you need them, and goes hand-in-hand with insulation. And to myth that “houses need to breath” it is just that. A myth. An efficient home is weather tight with the optimal amount of hourly air exchange controlled by mechanical means. This is typically accomplished by a couple bathroom fans with an always on that is below audible levels. Now, you may be wondering — “how can I know if I need to insulate and air seal my home?”, and the answer comes with a comprehensive energy audit with a home performance specialist at California Energy Services. 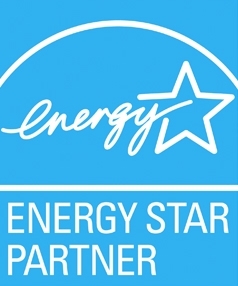 CES will walk you through every step of the process, let you know a prioritized list of home performance improvements, and find every efficiency rebate available to you. If your home is performing at its best, what are the next steps to reducing your carbon footprint? Utilizing the energy efficient, year round heating and cooling of a mini-split heat pump in your home will keep your home as comfortable as you need it, while using a fraction of the energy a ducted, central furnace or air conditioner consumes (we will go more in-depth into these popular appliances in part 2 of this series). The El Dorado County Community Services Weatherization Program has been helping homeowners on our community reduce their carbon footprint and conserve energy for little to no cost. Donating your time and/or money to programs like these will further help our neighbors and our community take part in the low carbon lifestyle of the future! Looking to adopt a low carbon lifestyle? Thinking globally begins with acting locally — so call the local El Dorado Hills Experts at California Energy Service at 916-458-0201 or you can contact us today.